With a view of the Durham skyline, this home sits on a corner in the historic Cleveland-Holloway neighborhood. Mediating between the public street and a private courtyard, it spills out in both directions. 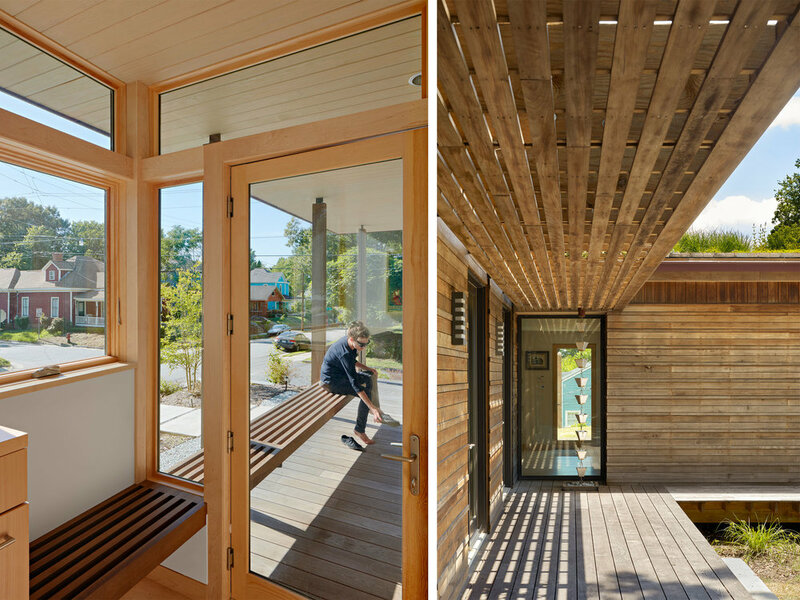 A deep front porch continues the existing pattern of porches along the street and seamlessly extends the inside to the outside through a series of foldaway glass walls. 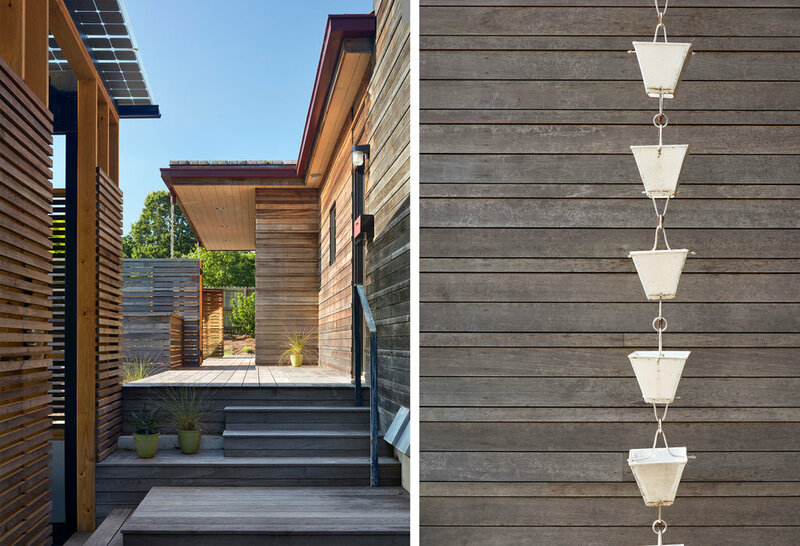 Simple wood slats weave the siding, railings, fences, and trellises together, creating dynamic patterns of light and shadow that animate the house and change throughout the day. 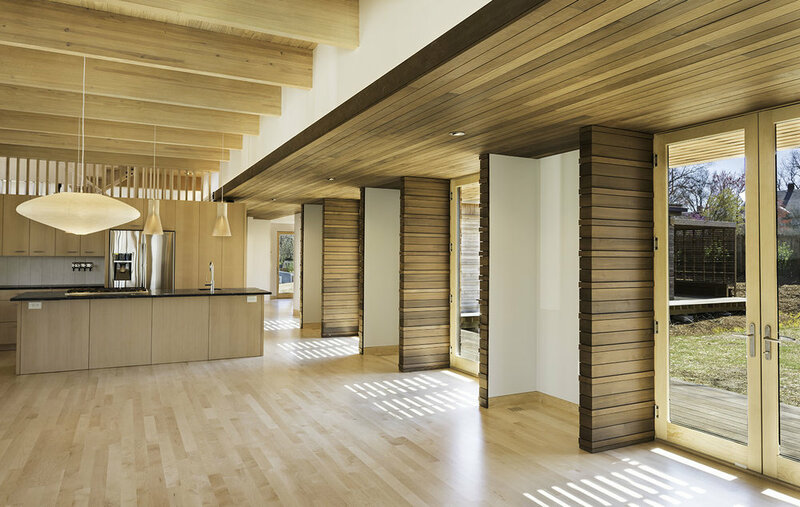 The house and site are designed as one, weaving together inside and outside, building and nature, old and new.